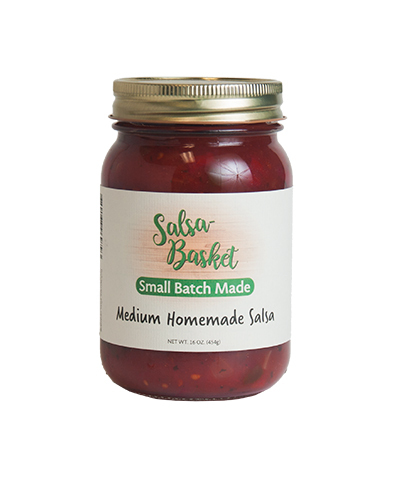 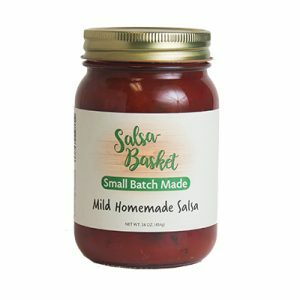 Medium Homemade Salsa offers fresh salsa flavors with a medium heat. Great on a variety of foods from chicken and pork to your favorite Tex-Mex recipe, or straight out of the jar with a few chips. Our salsa contains no preservatives, artificial colors or flavors. 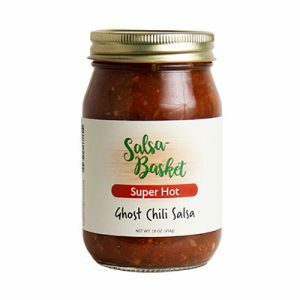 Tomatoes, onions, sweet peppers, sugar, jalapeño peppers, tomato juice, water, vinegar, salt, spices, calcium chloride and citric acid.